The Brande Shawl was designed by the very talented knitter and designer Bente Hein for the knit-event that took place in the fall last year: Brande Strikkefestival. 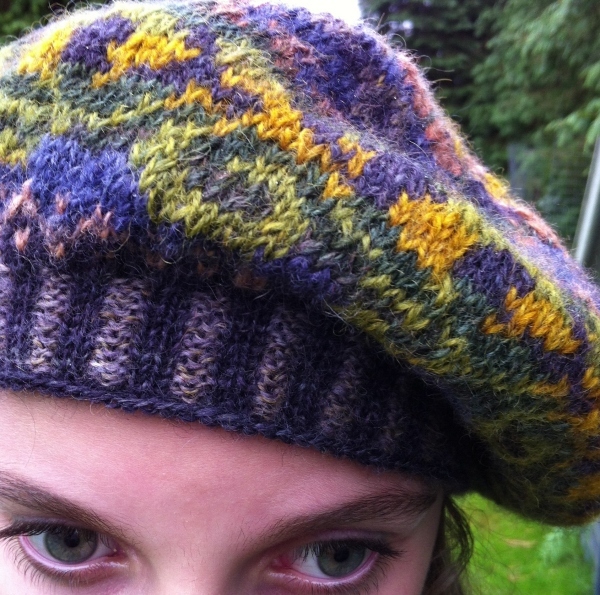 I made this tam in the traditional fair isle style. 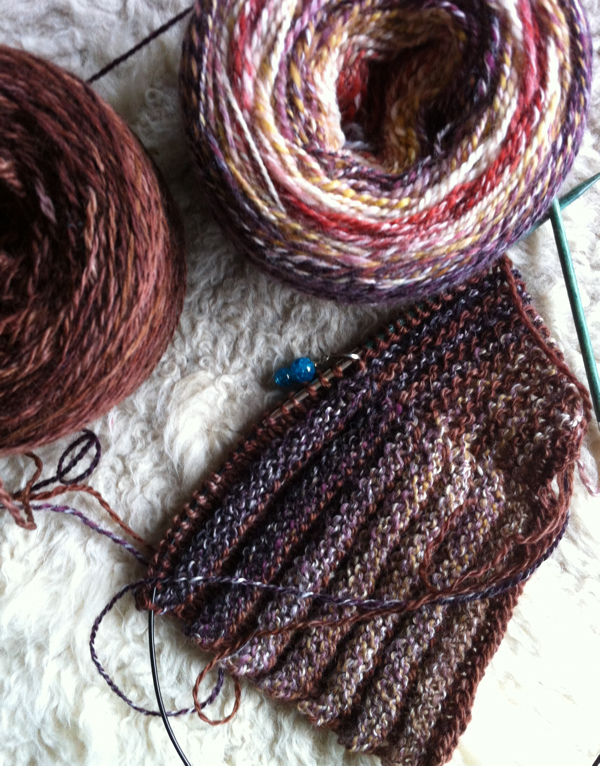 The yarn is 2-ply shetland wool. 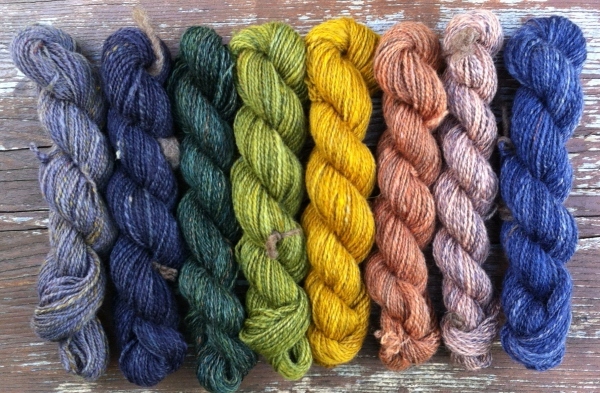 I spun 8 colours from one of my fiber-wheels, the September club-colour “Moorland”. Then I charted the patterns and knitted the tam using the 3 darkest colours as background and the 5 brightest as pattern colours. Then I wrote the pattern (for now in Danish language only, but I’ll do an english version too..) and it’s now ready to enter the shop! Hey! If you happen to be near Brande tomorrow you can come by and say hello at Brande Strikkefestival. I’ll be there with my handpainted fiber, my handspun yarns, patterns and some left over yarns from when I closed the physical shop this spring.